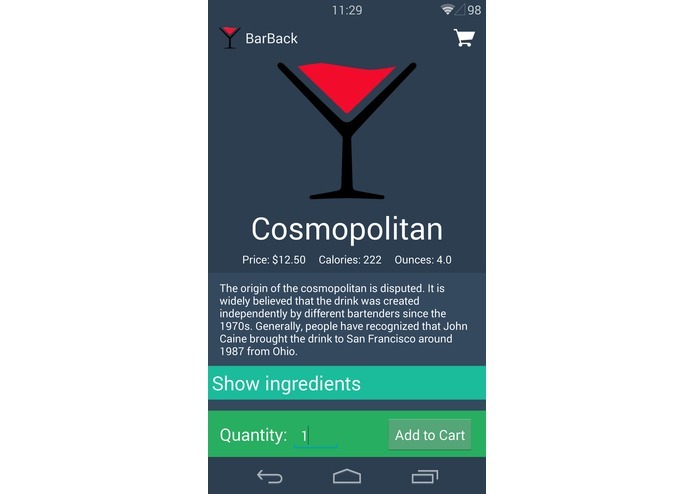 BarBack is an application that that allows customers to conveniently buy drinks at a bar. 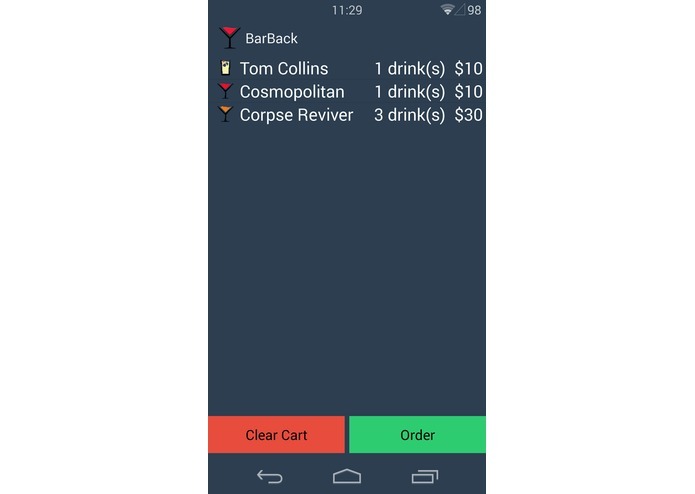 Both customers and the bartender will use our application. 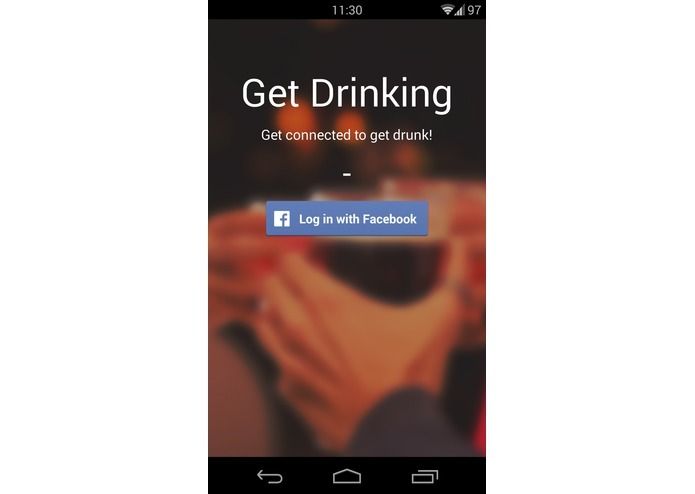 Customers will be able to log in to the application using their Facebook account, browse the selection of available drinks, and order one through the Android application. The order will be placed in a queue. 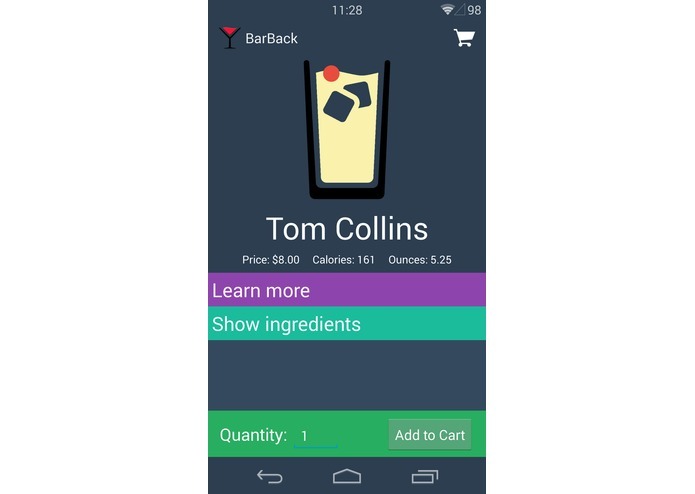 When the drink is finished being mixed the customer will receive a notification alerting them that there order is ready and they will be charged by their Google Wallet account. After the bartender has notified the customer he can remove the order from the queue.